How do I edit a block fixture? If the school does not have the Team Sheet Builder component then you cannot edit a block of fixtures. Instead you should edit each fixture individually. 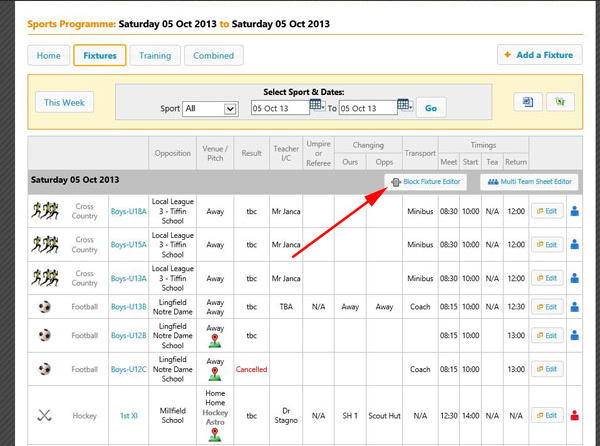 You can also use the Multi Fixture & Team Sheet Editor, which is also part of the Team Sheet Builder component.